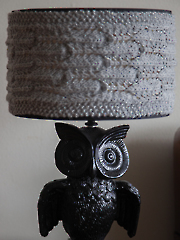 Take a plain lampshade and add a little knit or crochet to make it your own. 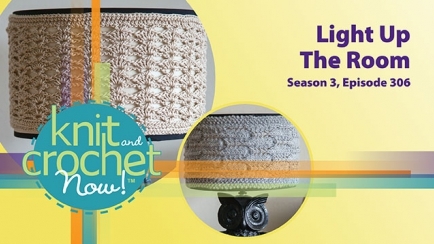 Maggie will show you how to knit a lace stitch cover and Ellen will demonstrate a crochet shell stitch shade, designed by Carrie Carpenter. Knit Ice Storm is the Afghan Square this week. 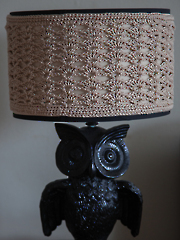 Great patterns for lampshades! The lace tips are essential and tried and true for any lace knitting or crochet. Well done.